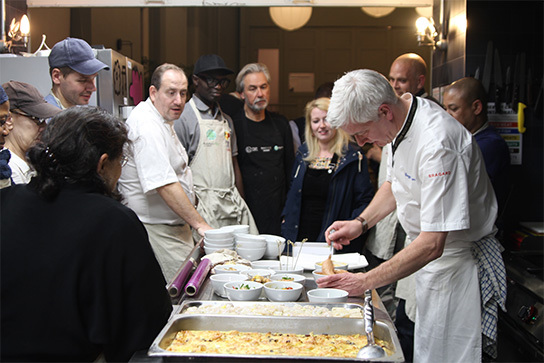 In October, the Grundig team were invited to Refettorio Felix at St Cuthbert's Centre, London, to attend a ceremony to mark the achievements of a group of 13 culinary learners. The inaugural training course was specifically aimed at those out of work or who have experienced long-term unemployment or homelessness or are at risk of homelessness, with the aim of giving them confidence and skills to increase their employability. Each week, the apprentices learnt how to prepare one or two dishes from scratch, using surplus ingredients to create an entire menu. They also hit the books learning life skills, interview techniques and CV writing. A total of 13 apprentices graduated, gaining valuable work experience in the kitchen and completing an accreditation in Health and Hygiene Level 2. Some were learning to cook from scratch while others such as Tina wanted to brush up on her presentation skills: “Women from the Continent already know how to cook,” she told me. Another graduate, Monserrat, said she had already been sharing her skills by volunteering at the soup kitchen at her local mosque. 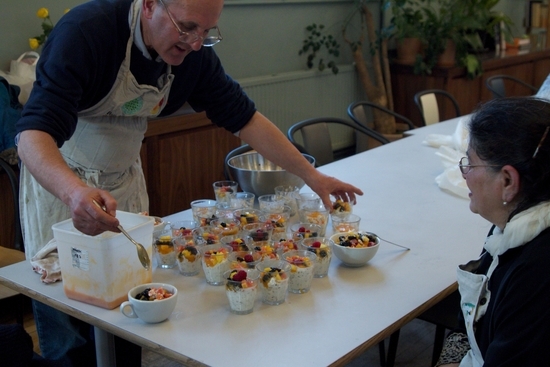 Using surplus ingredients, the group brought together a selection of heart-warming recipes they had learnt during the course, which included couscous with fish and prawns, meatballs in tomato sauce, mini chicken burgers and a creamy dessert with fruit and oat topping. After the tasting, participants were presented with certificates, photo catalogues and a personal recipe book. The seven-week course was a combined teaching effort by Chef Gregg Brown (Apprenticeship Course Leader and Lecturer in Culinary Arts at University of West London) and Chef Simon Boyle, founder of Beyond Food and Brigade. 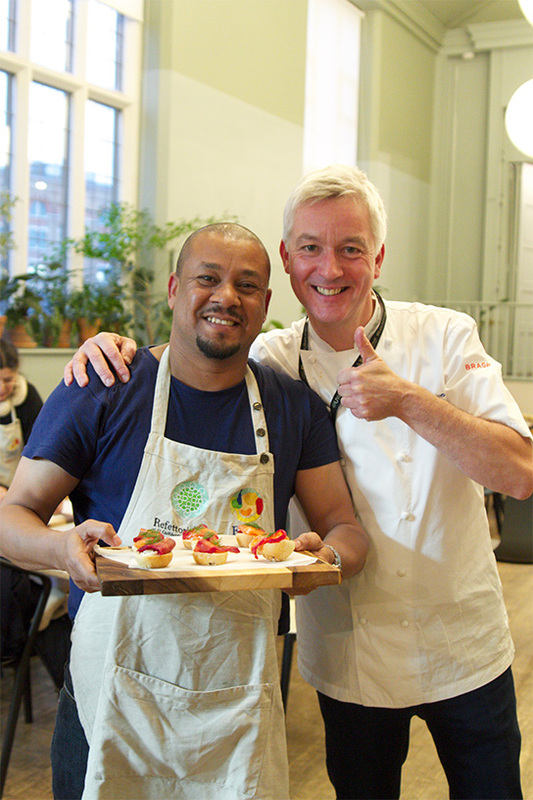 Simon Boyle added: “I was really impressed by the culinary training programme held at Refettorio Felix. Despite the vulnerable position each trainee is currently in, they gave their absolute full commitment to turning up to each session with energy and willingness to engage not only in the kitchen sessions but also to the support and employment round tables that I led. Refettorio Felix will be running another seven-week course in February 2019.